he IR4PS3 has the unique distinction of being the very first PlayStation 3 Bluetooth-to-infrared converter revealed to the public. We originally reviewed a prototype version that was housed completely inside of the official Sony Bluetooth remote – certainly an innovative idea, but one that didn’t end up being practical for volume production. 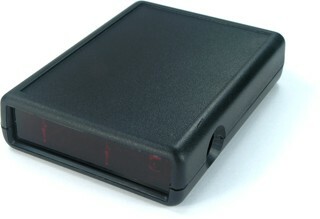 A short while later the IR4PS3’s creator came up with a simplified “black box” version dubbed version 2, which became the first edition offered for public sale. For this roundup we’ll be reviewing the latest itineration of the IR4PS3, version 3. The main change over version 2 is an improved circuit board and the addition of a USB port for power. All the control, less money! The IR4PS3 is not only the original, but also continues to be the least expensive product in our roundup, making it an ideal choice for anyone on a budget. While it lacks some of the advanced value-added features of the competition, it still offers the same base level of control over the PS3. The IR4PS3 is a two-part product, with a custom designed circuit board that plugs into the Bluetooth module from the original Sony remote. Doing things this way has the dual benefits of keeping costs lower to existing Sony remote owners, as well as utilizing Sony’s original communications specifications exactly, meaning that the PS3 can’t tell any difference between the IR4PS3 and the original Bluetooth remote. Two versions of the adapter are available: the base “do it yourself” edition costs $40 USD and requires the separate purchase of a Sony Bluetooth remote, or for $68.20 (exactly!) you can opt for a fully assembled and tested version. Half of the fun of buying the do-it-yourself version is watching the YouTube instructional video documenting countless ways of creatively destructing the original remote! Measuring 2.63” wide, 0.85” high and 3.60” long (6.7cm by 2.2cm by 9.2cm) the IR4PS3 is compact and can be placed discreetly almost anywhere. Assembly of the kit-format IR4PS3 isn’t itself difficult, though extracting the circuit board from the Sony remote can be a bit daunting at first. The custom circuit board that comprises the IR4PS3 is tiny, barely a third of the size of the Sony Bluetooth board, and the two attach without the use of solder – or much else for that matter, with the only screws being used to hold the plastic case shut. 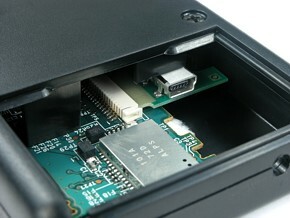 There are two ways to power the IR4PS3: either an external power jack on the right side with a diameter of 2.35mm supporting an input range of 3 to 9 volts DC, or an internal USB port that can be used with any device that provides continuous power over USB (which does not include the PS3). Note that since the USB port is inside the case, the case must be disassembled to hook up a USB cable – and the smaller the connector the better. A small hole is drilled into the bottom of the case to allow the wire to exit securely. More codes than you can shake a stick at! As with most available adapters, the IR4PS3 is compatible with stock Sony DVD player codes with PS2 extensions, but the IR4PS3 goes a step further by also working with Sony DVD Recorder codes, Sony Blu-ray Player codes, plus an additional four custom codes. This allows for a wide range of compatibility with both preprogrammed and computer programmable remote controls and, uniquely, the unit can be configured to listen to one, several or all of these codesets at the same time. The four custom codesets are exclusive to the IR4PS3, permitting multiple adapters to be used in the same system without risk of interference.